At Great Horwood Church of England Combined School we are committed to making sure that children who may require additional support are quickly identified and are provided with support. Special Educational Needs and Disability is coordinated by our SENDCo who can be contacted via the school office. 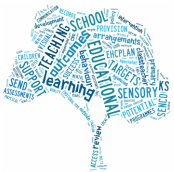 Information explaining SEND, our approach towards it, the voice of the pupil and the role of parents can be found in our information report and local offer. This is available below. We welcome your feedback on how we provide for pupils with special educational needs and disabilities. Please contact the school office should you wish to speak to the SENDCo or the Headteacher. Alternatively you can email or write to us. Buckinghamshire County Council also publish a 'Local Offer for SEN and Disability' on their website. This website provides an up to date resource bank of how pupils with SEND can be supported in Buckinghamshire as well as a list of opportunities and services available to pupils and their families. Buckinghamshire Special Educational Needs and Disability Information, Advice and Support (SEND IAS) Service, formally known as the Parent Partnership offer support at an 'arms length' from Buckinghamshire County Council. More information can be found on their website. They welcome feedback on their local offer and how Bucks County Council provide for pupils with SEN and Disability. Details of how to provide feedback are on their website.